Time report contains utilization metrics, overtime and shows the capacity of each employee in detail. See who's more billable at a glance. Time report shows how much time you've worked and breaks it down into different categories. Go to the Reports tab in the main navigation and select Time report from the dashboard. 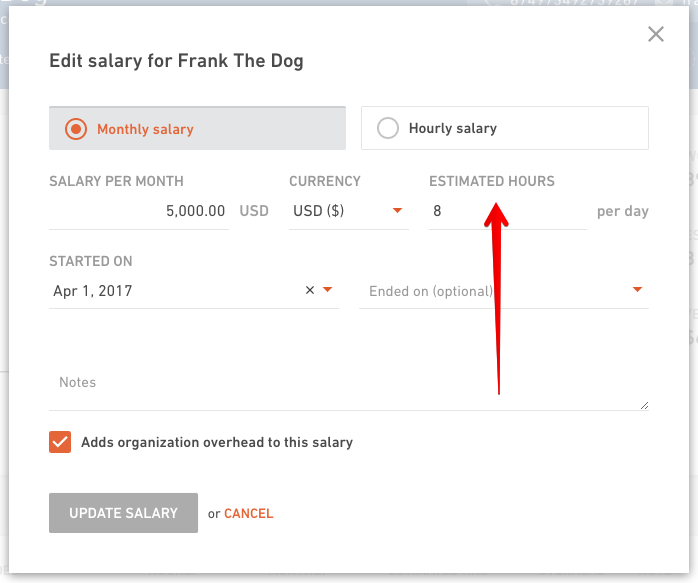 Data in the header shows you the percentage of utilization, in other words how many hours have you worked on client projects vs. hours spent on internal projects. When you define a cost rate for your employees and contractors, you need to put down estimated hours this person is required to work per day. Also, you can add Holidays to Productive for the entire year meaning these dates will be considered non-working days and won't add up to the capacity. The same goes for the weekends. Your organization has 4 employees. Three of them work 8h per day, and one of them works 4h per day. This means your daily capacity is 28h. You're looking at the time report for the last week - from Monday to Sunday. Out of 7 days, you were working for four days (two days for a weekend and there was a national holiday in the middle of the week). That means your capacity for that week was 28h * 4days = 112h. To create a report the first thing you need to do is to select a time frame you want to get the data for. 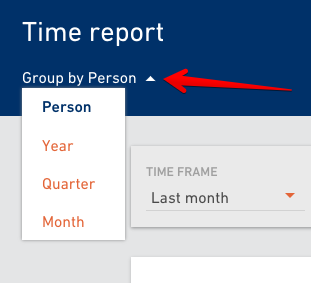 You can create a time report for the whole company or for a specific person. 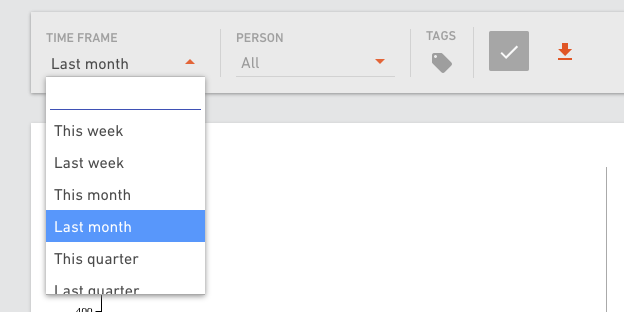 If you added tags to employees, for example "Android" for the members of the Android team, you can create a report based on those tags. This way you can get a report only for a specific group of people that share the same tag. When you set all the criteria, click on the checkmark button to run the report. Click on a column name to sort the data ascending or descending. The report will display the data based on the group by option you choose. You can export a report to PDF, XLS and CSV. Click on the export button, choose a format and click on the Export option.